early 1890s until Louisa's death in 1932. Ernest was born in Newbury in 1880, the son of Frederick Park, a tailor, and his wife Louisa Lucy née Gunstone. He was one of nine children; the others were: Frederick Herbert (born 1871), Edith Fanny (1873), Walter H (1875), Rose Louisa (1878), Willie George (1882), Winifred Ellen (1884), Hilda Mary (1889) and Ethel Maud (1892). The family lived at a couple of addresses in Speenhamland (4 Eastbourne Terrace and 2 Coniston Terrace) both of which have subsequently been demolished. 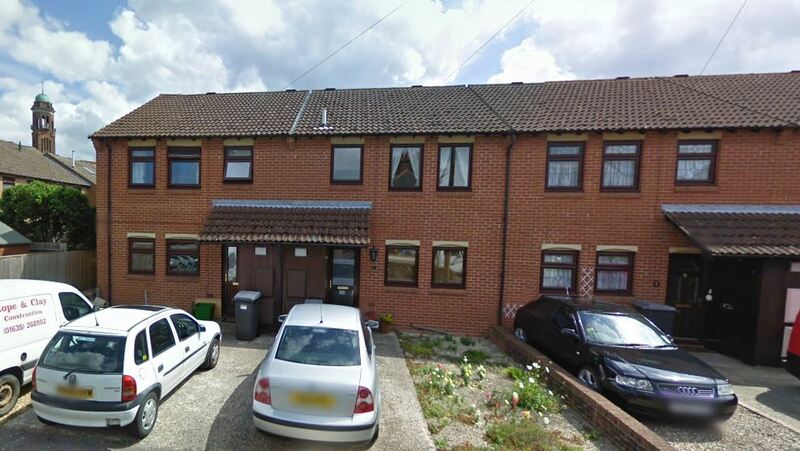 Ernest was educated at Speenhamland School, staying on for a while beyond the minimum school leaving age of ten. At the age of 11 he is recorded in the 1891 census as a ‘scholar’. He probably left school soon after this and found some youth employment which may have led to his employment as a domestic servant. In 1901 he was working for Mr Basil Slade, an architect, at his home at 29 Charles Street in Mayfair, London. A prestigious address from whence he had moved by 1911 to the home of Francis Robert Hoare at 5 Buckingham House Gardens. Neither census return gives any indication as to the type of service Ernest was employed in – however, as he was the sole manservant in both households perhaps he was a combination of butler and valet or the “gentleman’s gentleman” made famous by P G Wodehouses’ tales of Jeeves. He was not among the hundreds of thousands of eager volunteers in the early months of the war and did not enlist until March/April 1916. This timing would fit with his volunteering via the Derby or Group Scheme of late 1915, though it could also mean that he was an early conscript. The Derby Scheme was a last ditch attempt to delay the introduction of conscription – men were encouraged to volunteer (attest) for future service as and when required. Volunteers were allocated into groups (hence the alternative name of the scheme) according to age and marital status. Ernest would have been allocated to Group 18, which was mobilised on 18 March 1916. However, it is also possible that Ernest was conscripted at around this time though, given his age, this is less likely. After training he was sent to France to serve with the 2nd/4th Battalion, Royal Berkshire Regiment. This was a Territorial battalion, but the distinction between this and Regular battalions was blurred once conscription arrived in January 1916. Men would be sent where they were most needed without worrying about the niceties of pre-war differences. On 20 November 1917 the British opened a new offensive on the old Somme battlefield, aimed at the liberation of the town of Cambrai. This was planned by the advocates of the new tanks and used over 300 of them en masse for the first time in history. There were some stunning gains on the opening day – which demonstrated the effectiveness of a surprise attack using tanks to carve paths through the enemy wire and deal with pillboxes and machine gun nests instead of a prolonged artillery barrage (which always advertised the forthcoming infantry assault). However, the attack soon ran out of steam and effective German counter-attacks began to regain the territory lost on day one. 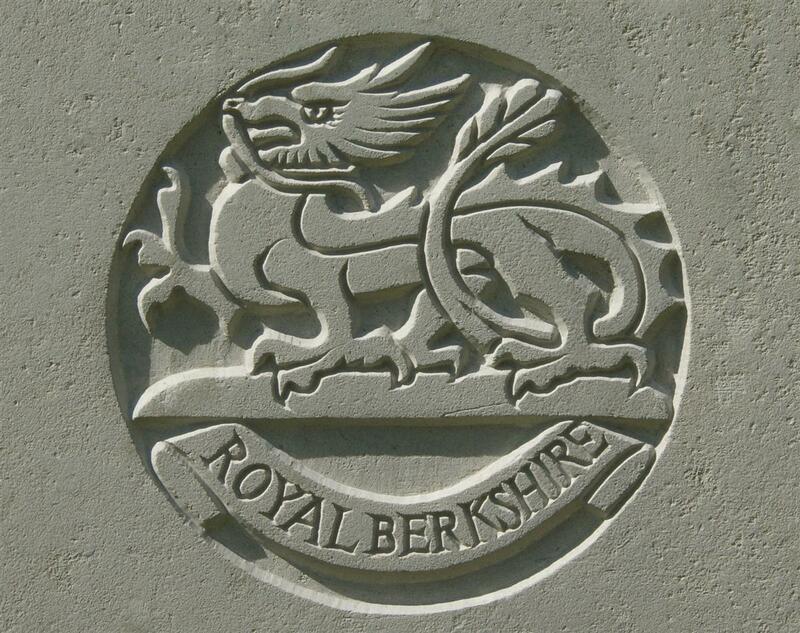 The 2/4th Royal Berks was a battalion in the 184th Brigade in the 61th (South Midland) Division. This division was in the line in the Arras area in October/November 1917 and was involved in activities designed to distract the German’s attention from the Cambrai area. On 27 November the division received notice to be ready for a move south to Cambrai. Arriving at Fins on 1 December the news was that a large German counter attack was believed to be imminent. Two battalions (2/4th Royal Berks and 2/5th Gloucesters were sent(leaving at 13.25 on 2 December) to reinforce the Guards Division holding (just) Gouzincourt. Later in the day the two battalions were ordered to rejoin the rest of the 184th Brigade at Villers Ploiuch. For the next three days the Brigade was in action around Villers Plouich and La Vaqueirie . Two Newbury brothers, Thomas and Reginald Maccabee were badly wounded on 3 December; Reginald died of his wounds a couple of days later; Thomas of his a little over two years after he received them. War Diary, 2/4th Battalion, Royal Berkshire Regiment – 5 December 1917. Trenches R8 west of railway Villers-Plouich area. C and D coys driven out of CORNER WORK by enemy attack. Coys ordered to retake Corner work. Enemy made 3 attacks but were driven off. Reorganisation of our lines were effected. Casualties of C company 2nd Lt Jenaway seriously injured 3 other ranks killed and 6 wounded. D company figures not given. Sadly Ernest was among the men to die that day. The location of his remains is unknown so his name is remembered on the Cambrai Memorial near Louveral. Locally Ernest is remembered on tablet 1 of the Newbury Town War Memorial and on the Speenhamland Shrine (the parish memorial for St Mary’s, Speenhamland – located in St Nicolas’ Church, Newbury since St Mary’s was demolished and the parishes combined in the 1970s. 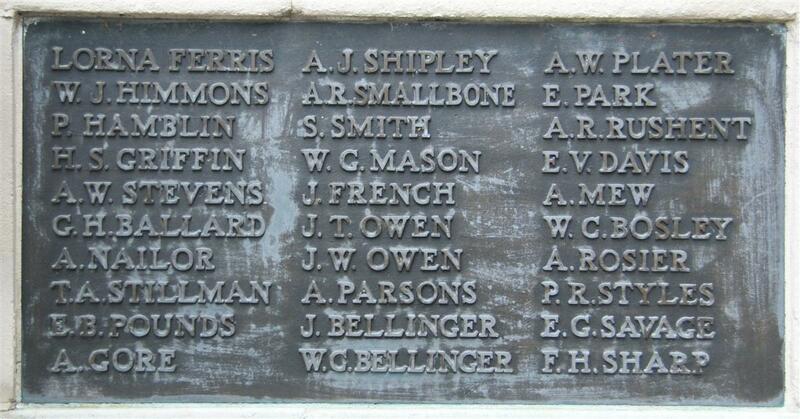 He was also remembered on the long lost memorial erected in Speenhamland School.